The flag of the Russian Federation is a tricolor flag consisting of three equal horizontal fields; white on the top, blue in the middle and red on the bottom. Though initially it didn't look like this. 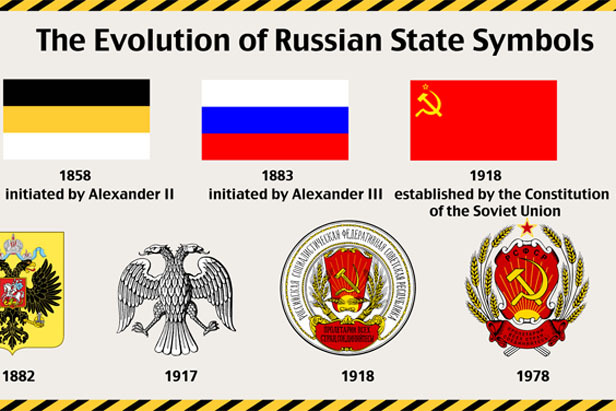 Overlook the evolution of Russian flag and the national emblem through the time, as you recently did with the Russian national anthem. By the way, 95 years ago the project of a communist red flag as a symbol of the Revolution was discussed for the first time. In a 5 days it was established and became the main symbol of Russia for the future 72 years.